DOCTOR WHO - Which are the best PETER DAVISON stories? | Warped Factor - Words in the Key of Geek. DOCTOR WHO - Which are the best PETER DAVISON stories? In our look back at the finest Doctor Who stories from each incarnation of the Time Lord, Andrew Jero counts down five of the best from Peter Davison. On the 21st of March 1981, the most prolific era in Doctor Who's history, the Tom Baker years, would come to a brutal end when the Fourth Doctor fell to his death. This would mark the beginning of a new age. Peter Davison, the youngest actor to ever secure this role in Doctor Who's original 26 year stint, would have to win over the audience and rise above the seven year shadow of Tom Baker. Davison's era would be riddled with production issues right from the start. Two script editors, the perpetual ban of Peter Grimwade as a director on the show, and the very difficult decision to kill off one of Davison's original three companions. I feel a very strong personal connection to this era of Doctor Who, Logopolis was my very first story. I can remember sitting down and watching it 14 years ago, at the age of four - Doctor Who entered my life. Generally people are very mixed about the Peter Davison years, you have the classics, Caves, Snakedance, Enlightenment, but you also have the clunkers by general fan opinion, Time-Flight (which I love), Terminus, Arc of Infinity, and Warriors of the Deep. Peter Davison has since remained one of the most involved Doctors after his time, returning with McCoy and Colin Baker for the first Big Finish audio, and being the mastermind behind the absolutely hilarious, The Five-ish Doctors, anniversary special. He also made an appearance in 2007 alongside, arguably the most popular Doctor of the newer generation, David Tennant in Time Crash. For all the issues behind the scenes, the Fifth Doctor's era is in my heart the best and definitive era of Doctor Who, as I hope the following five adventures will prove. A story that had to introduce Vislor Turlough, bring back The Brigadier and reintroduce us to The Black Guardian - with a lot of goals, it does it's job marvelously. Mawdryn Undead is a fast paced, brilliant story with an interesting villain, that seems to be one of those stories we just don't talk that much about. Not that people don't like it, it's just that most find it a bit 'eh'. I love everything from the costumes of Mawdryn and his people, to the interior of the spaceship which looks very scary, (it at least did the job when I was four) and generally very well made. Davison and Strikson work very well together and the addition of Turlough's mission to kill the Doctor gives us one of my all time favorite cliffhangers! The scene where the Doctor is all wired up willing to give his life for Nyssa and Tegan perfectly shows the selflessness of the Fifth Doctor. With Davison's line, "Death is all they wanted..." simple poetic justice to end the conflict in the story. Davison's third story, with arguably the best script in the entirety of the show's history. Christopher Bailey is possibly the most brilliant writer Doctor Who has ever had in terms of taking something we're used to, in this case religion, and adding a monster and many familiar elements of Buddhism, the demon called the Mara being one. Adric and Five work pretty well together, but the limelight is without a doubt on Janet Fielding for her best performance in the part of Tegan Jovanka. She takes this weirdly cool script and raises it to a whole new level. She encapsulates the Mara perfectly and gives the episode a very scary feel to it. Simon Rouse gives such a brilliant performance, going from calm to nicely insane over the Kinda not wearing their ties correctly. The strongest moment is without a doubt Rouses', "You can't mend people." One of the more powerful moments in Davison's time on the show. Earthshock, a story that never gets old for me. I can watch it time and time again enjoying it immensely each time. As to what there is to enjoy, well, there's the episode one cliffhanger, my third favorite of all time, so shocking that even though there's a Cyberman right on the cover of the DVD, and on the titles menu, it still shocks me every time. I forget in the action of the first episode that they are going to be there, and their upgrade is glorious. The silver moon boots, the heads, seeing the chin moving in the Cyberleader's mouth, especially the guns. The Cybermen are cool and nothing can stop them! They appear in the thousands causing mass slaughter of the crew, and the eventual death of a companion. Adric's death, even though it is so early on in Davison's era is where I draw the beginning of the end for the Fifth Doctor. It holds him together, provides a source for his morals, his need to save. Because this time, he didn't, he couldn't. He never forgives himself for Adric's death even when his own eventually finds him. Forever in my top five all time stories, this one is epic! Davison finally gets his turn against the Daleks! I've got to admit, even though there are huge plot holes in the story, and the High Council assassination plot may not be the best conceived idea by Eric Saward, this is without a doubt his best story! It's the kind of story you expect to get with the Daleks - death. Lots of death! This is the story with more on screen deaths than "The Terminator". All but six characters die during the episode. Resurrection of the Daleks is filled with so many high drama scenes. Colonel Archer asking for the policemen's radio, "It's dead." with he policemen pulling the gun to Colonel Archer's head. The Dalek battle sequences look better than ever and Davros is better here than in Genesis of the Daleks. 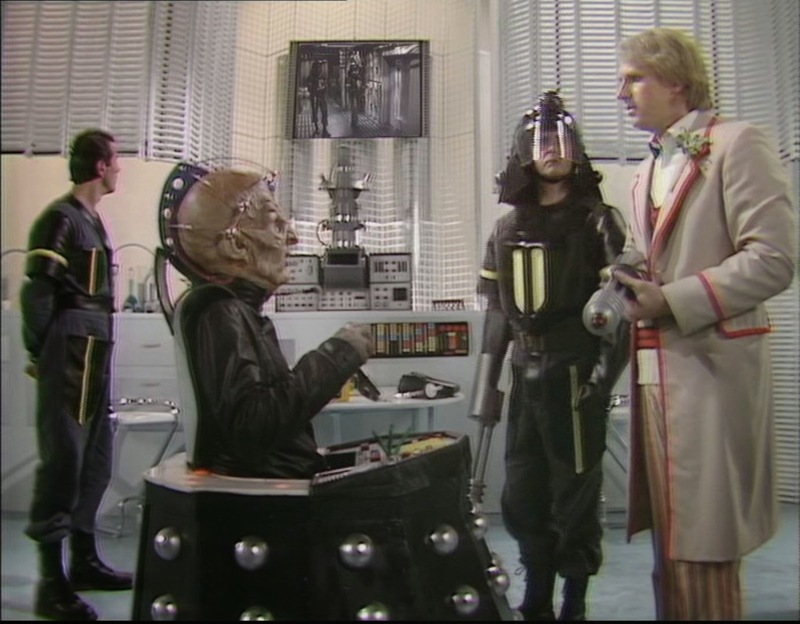 The best scene for Davison is going into Davros' laboratory as his executioner. Davison gets dark in this season and is at his darkest in this story. "Perhaps I should mend my ways." This line summarizes it all, and in his last story, he does nothing but mend his ways. A story that often fluctuates between my number one and two all time spots. It has everything - the best two cliffhangers in the show's history, my Doctor, and a story that sticks with you long after you've watched it. 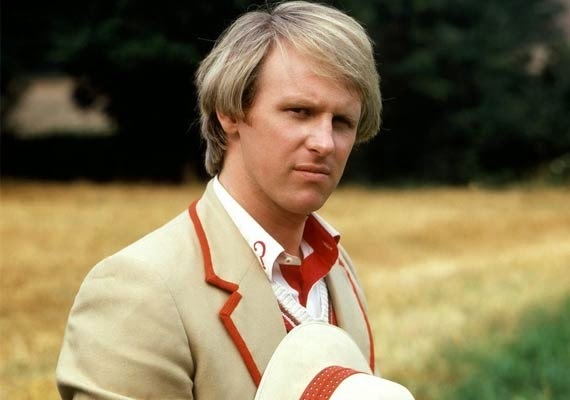 Throughout the Fifth Doctor's time, he deals with a lot of death and destruction corrupting his innocent appearance. Adric's death is the beginning of the end for the Fifth Doctor, couple that with the genocide of the Silurian triad in Warriors of the Deep, and the complete destruction of many lives in Resurrection of the Daleks, a brand new companion and the end of an era generally might not mix well. In this case the Doctor and Peri don't effect the war around them. They're trying to get out, and end up with a deadly disease by accident. Five's selflessness really shines, which is ultimately his downfall. He grabs the antidote, and when he gets just outside the TARDIS doors, he crumbles. His downfall is imminent. Half of the milk spills leaving enough only for Peri. The Doctor gives the antidote to her even though he knows it will cost him his life. Adding to that story is the fact that The Doctor and Peri don't even really know each other. The episode three cliffhanger where he crashes the spaceship, possibly to his death, just to save her is the strongest moment in all of Doctor Who. 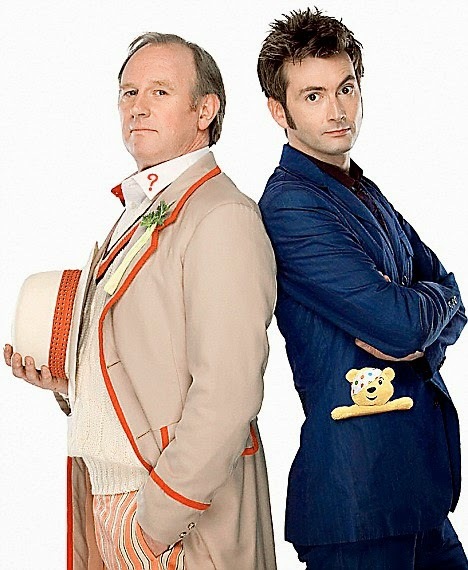 The Fifth Doctor cares so much for the people around him that he has no choice but to risk everything for everyone. In his death, we see and feel the regret he has for the death of Adric, something that haunts him to his last word. So which do you think are the best Peter Davison Doctor Who stories? Do you agree with Andrew's choices, or do you have a different top 5? Andrew Jero is 17, lives in Iowa and has been watching Doctor Who since the age of four. He enjoys acting and writing plays, television scripts, and short stories. He has a very strong love of Red Dwarf as well. Follow Andrew on Twitter. Next time it's the turn of the Fourth Doctor, Tom Baker.